From insects to wildlife, we provide a wide range of options that meet some the toughest demands. Your home is valuable and your family is precious, we understand, and believe you should be treated as a member of our family. 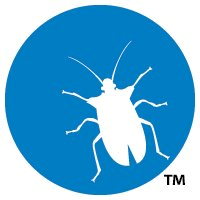 Our goal is to provide outstanding service in our community and build lasting relationships, bringing you excellent value in pest control that you really appreciate. This and more is how our customers receive the professional care, and friendly service they can count on! Thanks! Timely service and problem mitigation! Pro-Site is always a pleasure to work with. Being in the Real Estate industry, I have had many interactions with this company. Recently, Pro-Site has been doing work inside my personal residence so I have had the opportunity to experience first hand the interaction with their technicians, office team and management. They have been very responsive, kind and informative. I highly recommend Pro-Site! They were quick to respond and did a great job of explaining everything that they were doing and why. A great experience. Prosite Pest Control is great. All employees I have interacted with are professional and knowledgeable in dealing the pest issues we face on a large property with multiple buildings. I highly recommend them to anyone in need of pest control services. Manny is a hard worker, and explained everything. Also quick to respond and creative in finding solutions! Quick response and did what they said they'd do. Still in the process of getting rid of the problem but there has been much improvement already and I expect Prosite will be successful in the end. We can trust that Prosite is taking care of our vacation home when we are not able to be there in person to address pest control problems. Everyone is nice and efficient in their work. Thanks! Prosite has always been the best service for the best price. Thank you for being the best in the business. I was having problems with Birds nesting on the roof support beams. They were able to install some hardware, that has completely stopped this. No more problems cleaning bird droppings off my deck. They did a great job in a timely manner. Prompt service. The tech did a thorough inspection and while I chose to take care of the problem myself, I will contact Prosite again if I continue to have problems. They Have been wonderfully patient with me as we try to observe and control pests. I was very happy with your service. You guys did a good job it was done promptly and I thank you. Very professional, friendly, and they follow up like clock work. I definitely recommend Prosite! Awesome company & very quick to respond. Thank you!! I have been using Prosite for three years. They are very professional and courteous when it comes to services with their customers. They are definitely a great company. Thanks Prosite!! The young man was very knowledgeable and pointed out a couple ways for me to guard against mice, he set the traps and at my request did not press me to add monthly service. He did advise that if I had any more problems they were there to help! He was courteous, and professional! And I have not had any signs of mice since! We are in the second round of rodent elimination at the old house just purchased. So far, so good. I am very happy with Prosite. They worked diligently to get me an appointment earlier than expected. All staff were attentive and receptive to my needs. Arrived on time, completed on time and the treatment appears very effective. I would definitely use them again. We have had no issues since hiring Prosite. It is a real relief to know that when we arrive at our home that we can enjoy it vs having to check traps and food bins. Customer service rep was so polite and helpful. The person who came to spray at our house was honest and trustworthy. He didn’t recommend something we didn’t need. Excellent service and very quick response time. I have used them once before and if I need additional services I will call them for sure. the bees are no longer a problem. I will diffidently use your company again. Thank you, Elizabeth Watson. In-ground yellow jacket nests are gone! Service was quick, effective and reasonably priced, tech was polite and personable. Sorry to respond to this site so late . l left a review some other comment site . Anyway l am very pleased with the fast reponce service for the bees that attact me . ( I ended up in emergency from them ) So glad that are people that can do what friden me so much . Thank you . I will always use this company . Hunter was very polite and did a great job of getting rid of the wasp beetles. I would definitely refer Prosite to friends. Friendly and prompt service. It was great not seeing any more bugs. Very fast response time and I love the fact that we can get a free initial inspection. Great Service. Friendly phone and technician experience. Switched from another company that wasn't very prompt over the last 2 years. Have been very pleased with my switch over. I recommend Prosite for all your future "pest" needs. It was our first time using your service and we were pleased. Thank you. I look forward to working with y'all again. Mika came out quick when mosquitoes we’re so back the next day was so much better. Very responsive and fixed our problem getting rid of carpenter ants. Manny was great. Very knowledgeable, courteous, and attention to detail. I would definitely recommend this company. Got the service completed, i asked for! The service was swift and on time for the appointment. The work is affective and I have seen no rerun of the pests I was concerned about. Good work I will use them again next year. did an awesome job, I had some holes in my attic and they fixed them right up for me. on top of setting everything else up.